I have to say, I'm a total home girl. I'm not one for being away from home for long periods of time and I always feel at my most comfortable in familiar surroundings and surrounded by my favourite things. Don't get me wrong, I love travelling and going on nice holidays but I'm certainly not the type of person who could travel for months and be away from my home comforts for long periods of time - it's just not me. With this being said, when Christy & COTTON USA contacted me to see if I'd like to take part in their 'Feels Like Home' campaign, I immediately said yes. Drinking cups of tea; One of my biggest home comforts would definitely be cups of tea - I'm obsessed and could drink them all day long. I find something so comforting about a hot cup of tea and if I'm stressed or upset about something, a good old cuppa usually makes me feel ten times better. Eating good food; Similar to my love of tea, I love spending my free time at home trying out new recipes or making some of my favourite foods. I'm a total foodie and always look forward to tea time when my boyfriend and I can chill together, eat good food and watch our favourite TV shows. It's definitely my favourite time of the day!! Taking long baths; There's nothing more relaxing than a pamper in a hot bubble bath so whenever I have some time to myself, it's always at the top of my to-do list. I love to light some candles, pop one of my favourite bath bombs in and have some clean and fluffy towels at the ready for drying myself. I was kindly sent the Christy Supreme Hygro towels which are super soft and fluffy as they're made using cotton from COTTON USA. I think it's so important to have nice fluffy towels in the bathroom and I'm always willing to spend that bit more on good quality ones. Wearing comfy clothes; If I could live in loungewear or my pyjamas, I probably would. I love nothing more than spending a day chilling out in my most comfortable clothes with no makeup on and my hair shoved up on top of my head. Sometimes it's nice to not have to make an effort and be completely au natural. Candles & Fresh Flowers; Whenever I'm surrounded by candles and fresh flowers, I feel ten times more relaxed. That's why you'll rarely find my flat without either of those things. I absolutely love lighting candles and go through them so quickly as I have them burning all day long. I love how they make my flat smell too - my favourite scent is clean laundry. I just find that scent really comforting and homely. Reading a magazine; I have Women's Health on a monthly subscription so when it arrives, that's my time to make my cup of tea, sit down in my comfiest and get lost in the magazine. I love getting tips on health and wellbeing from Women's Health and I always feel so inspired after reading it. Having a pamper; I guess this goes without saying as all us girls love to have a pamper when we've got a bit of free time. Whether it's a face mask, a hair mask, a coat of fake tan or painting my nails - I always feel so much better about myself after a good pamper session. So there we have it, the things that make me feel at home. I hope you enjoyed reading and I'd love to know your favourite things to do at home when you've got some down time so do let me know in the comments below! Sponsored post - all opinions are my own. 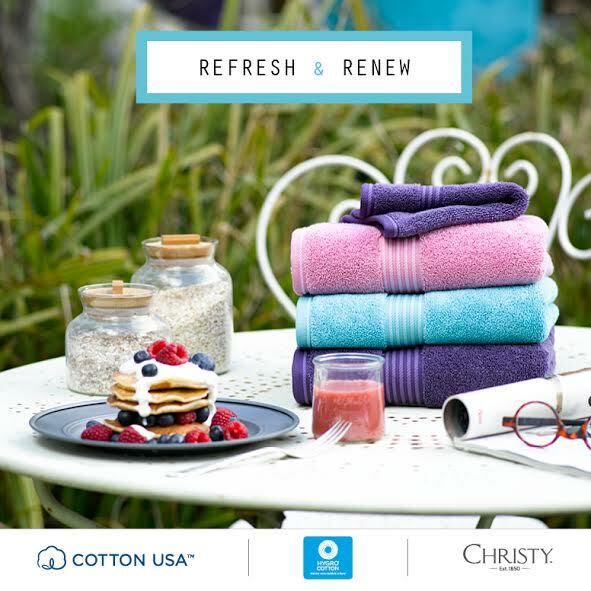 Christy Supreme Hygro® towels carry the COTTON USA International trademark for quality U.S cotton-rich products. I love a good pamper day too! Great post. Hello! 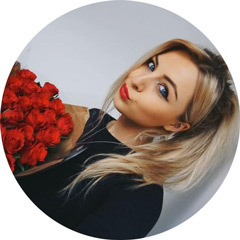 I found your blog just a couple of days ago and I just wanted to tell you that I love it! I recognize myself a lot when it comes to things you wrote about in this post, haha! Have a great one. Love this post! I love to be at home! And I love tea, books, magazines and flowers to get the real at home feeling! Scented candles are my relaxation technique! I love reading book and drinking tea when I'm relaxing at home. It's simply the best thing to do when you get the chance to relax! Somedays there is no better feeling than the one you get after heading home, having a long hot soak and popping on your comfies! I can't wait to do just that this weekend. That all sounds so great :). I totally agree with reading a magazine, I love magazines so much like a lot lot. You know what I am saying, its just so comforting you can just go on it all day long without feeling ashamed or guilt. it just calms you down and motivates you, it even makes you think more about the magazine and what its all about in general.